The Grit Guard is a real paint-saver. But it has a number of other uses, too. 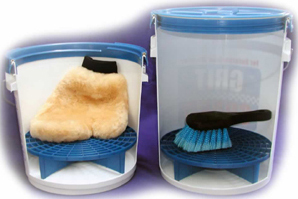 Use it to clean paint brushes by running the bristles across the grid in a bucket of water or paint thinner. Clean automotive parts or drain your oil filter. You can even use the four quadrants as a grid when laying tile. The Grit Guard is solvent resistant and durable. It stands 2 ½” off the bottom of the bucket and measures 10 1/8” diameter, perfect for any 12” diameter bucket. It is available in bright array of colors. 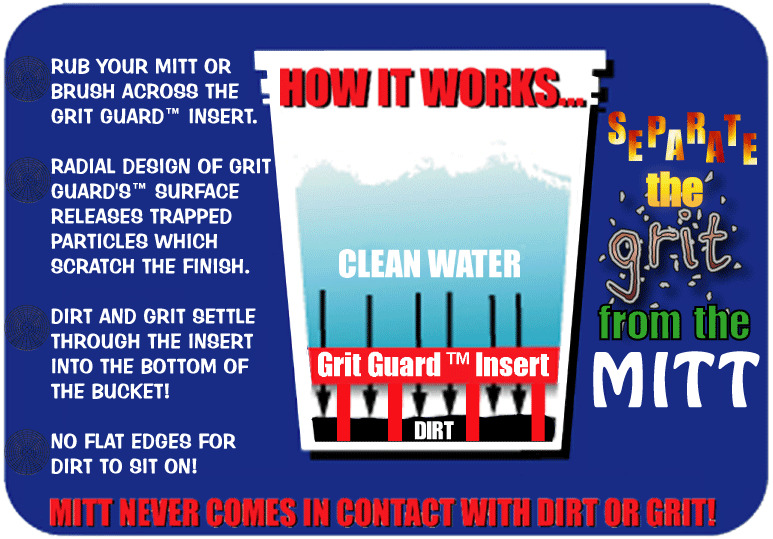 The Grit Guard is American-made and patent-pending. The Grit Guard takes the grit out of your mitt for safer, swirl-free washing. This inexpensive item can save you countless hours and dollars spent removing swirls. Two Grit Guards are better than one! For optimum paint protection, stack two Grit Guards in one bucket. 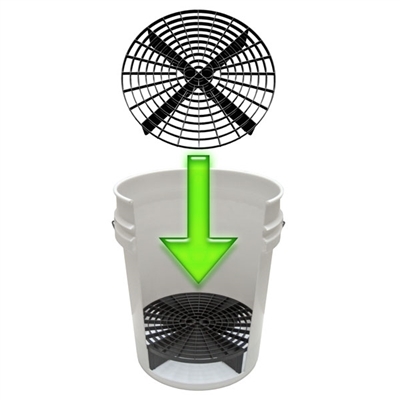 The stacked grids stand 5” above the bottom of the bucket and stabilize more water. The grit settles to the bottom of the bucket and remains there because the grids prevent the water from being stirred up in the bottom. The addition of a second Grit Guard also provides more clearance between the clean water at the top and the dirty water at the bottom to lessen the likelihood that a stray grain of sand will find its way to the top.